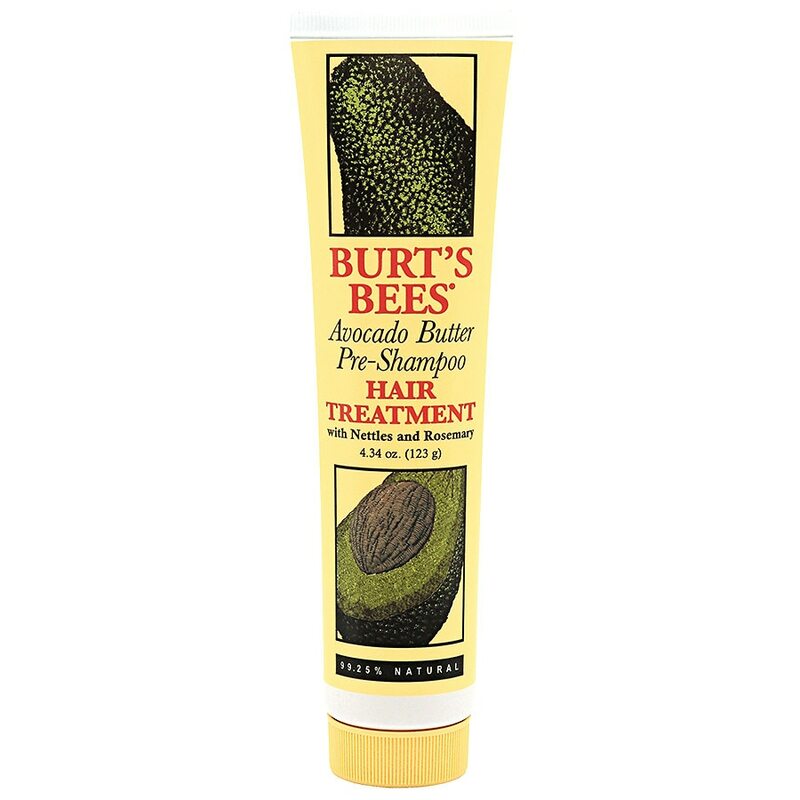 Rich and buttery, Burt's Bees Avocado Butter Pre-Shampoo Hair treatment moisturizes to restore body, shine and manageability to your dry, damaged hair. This pre-wash hair treatment is made with avocado oil to give your hair the moisture it needs without leaving an oily film. Infused with Olive and Almond Oil, and Rosemary and Nettle Extracts,this nourishing formula gives your hair a beautiful glossy shine. It's 99.25% natural and contains no SLS. Excellent for both women and men alike. This product also makes a great styling aid. ¿Use before shampooing. Wet hair completely. Massage one teaspoon of Hair Treatment into the scalp and through hair concentrating on ends and other damaged areas. Comb it through with a wide-toothed comb. Leave on for 15 minutes or more. Rinse thoroughly. Shampoo as usual. Use daily or as needed. As a styling aid, rub a small amount into palms, and apply to damp or dry hair. Style as usual. ©2015 The Burt's Bees Products Co.